IGNOU MBA 2019: Indra Gandhi National Open University (IGNOU), New Delhi, India is inviting applications for its management courses (MBA) through entrance test OpenMAT 2015.Students fulfilling the below mentioned eligibility criteria can apply for IGNOU MBA 2018. The last date to apply for admission is January 2017. Graduate with any recognized Bachelors Degree of minimum 3 years duration in any field with at least 55 percent marks of Graduation level. Graduates in Commerce / Arts/ Science / Economics/ Statistics/ Engineering & Technology are preferred. Clearance of Openmat conducted by IGNOU. Candidate who have successfully cleared the entrance test conducted by the institutions like CAT, MAT, and state level tests need not appear in Openmat. The cutoff percentage for admission of these candidates will be decided by the University, Subject to a minimum of 40%. The university will not accept the score of other examining bodies in terms of percentile. The University reserves the right to grant/deny admission to any of the candidates. there is no age bar for admission into IGNOU MBA 2019. The last date to send filled in application form to Registrar (SED), IGNOU Maidan Garhi, New Delhi-110068 is on or before 10th January 2018. Last date for receipt of request for prospectus by post is January 15,2018. 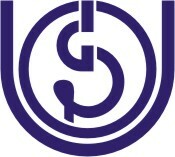 However, it can also be downloaded from the website www.ignou.ac.in and sent along with a DD/ IPO of Rs.550. Students who has successfully qualified the entrance exam can submit the application form for admission into IGNOU MBA 2018 along with required documents & fee to the respective regional center on any day after the receipt of result card but not later than May 31,2018 for admission cycle starting from July 2018. Provision for online admission will also be available on IGNOU website http://www.ignou.ac.in.